This week's 'Shop Contest subject is such a no-brainer many of you already have gotten a head start. 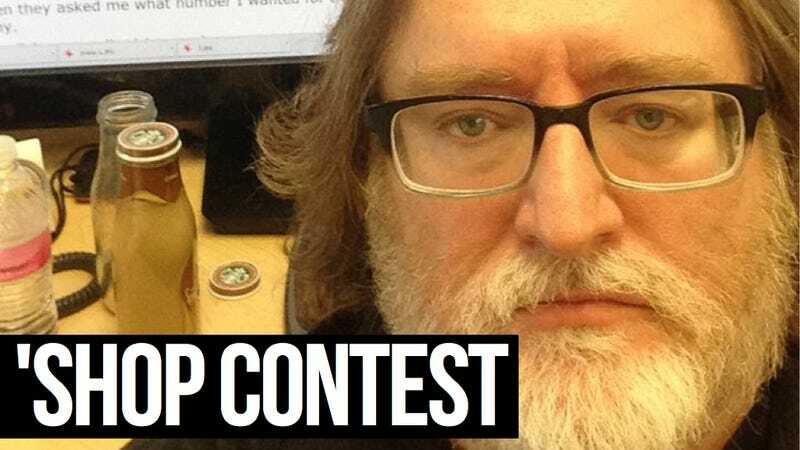 How could it be anything but Gabe Newell's proof-of-posting photo from his cameo on a couple of subreddits this week? There's Gabe. There's an easily maskable background. There are Starbucks frappuccinos. There is ample space to Gabe's right to give him a friend. Why am I still talking to you? I expect to see at least 10 submissions in the first five minutes after this is posted. 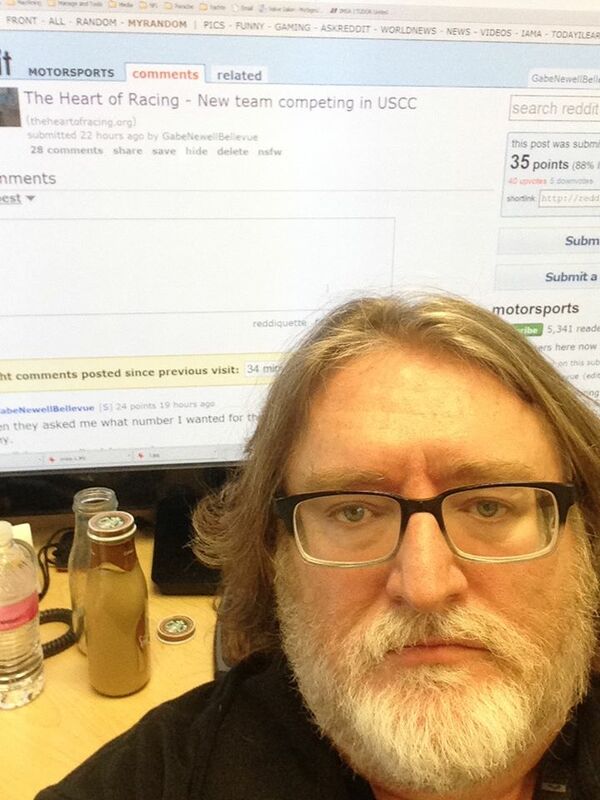 Source Image: Valve boss Gabe Newell proving that Reddit post was his.